If you have any questions, concerns, or comments regarding Rollins Family Dental Center, please fill out the short contact form below. "Rollins Family Dental Center is so painless and well-organized. It always feels like the time is passing quickly and I'm done!" "Best dental care in the area. Our family has been going here for over 12 years. Great family practice!! Thanks." 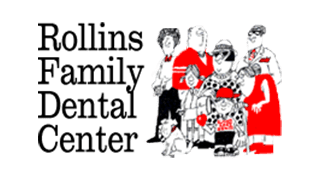 "The people at Rollins Family Dental Center care about you as a person as well as your dental needs." "Dr. Canty is a great dentist and always tends to my dental needs. I highly recommend Rollins Family Dental Center for all your dental needs." "My family and I have been coming here for over 8 years. The techs are friendly and efficient. My kids like going to their check ups." "I can always count on Dr. Canty when I need him. I always get happy thanks from the friends I referred to him. He is caring, thoughtful and painless!" "Rollins Family Dental Center is an excellent dental practice. I have been a patient for many years and I highly recommend it." "The receptionist was super friendly. Dr. Canty is truly the best and knows what he is doing. I recommend Dr. Canty to anyone!!" "I accidentally chipped my two front teeth and Dr. Canty did an amazing job fixing them. I appreciate the amazing work done"